Para la versión en español, haz clic aquí. Will the end of the armed conflict mean peace for Colombia? Join our upcoming webinar De- or Re-Militarization in Colombia? 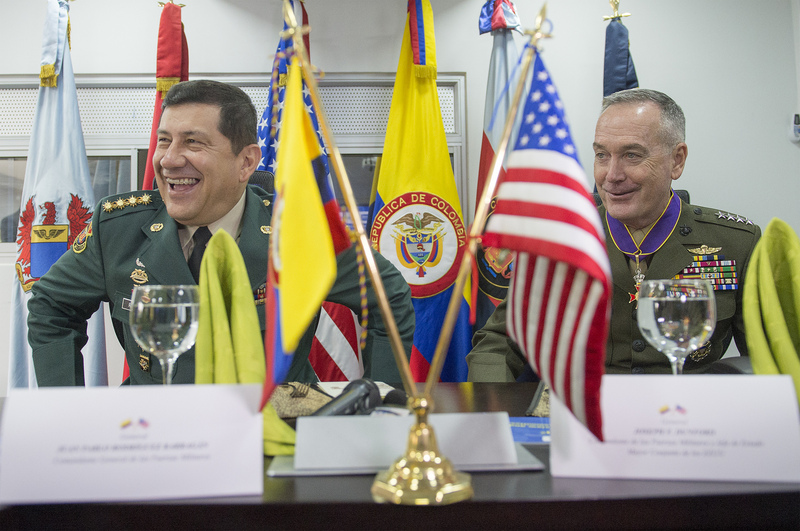 Prospects in the Post-peace Accords Context on April 1st at 1:30pm (New York, GMT-04:00) to explore the future of the military and militarization in Colombia. ¿Será el fin del conflicto armado sinónimo de paz en Colombia? Participa en nuestro próximo webinar titulado De- or Re-Militarization in Colombia? Prospects in the Post-peace Accords Context que tendrá lugar el próximo 1ro de abril a las 12.30pm (hora colombiana) para debatir del futuro de lo militar y de la militarización en Colombia. Para la version en español, haz clic aquí. Together with eleven other international accompaniment and observation organizations working in Latin America, FOR Peace Presence just signed a public declaration to demand justice for the assassinations of Berta Cáceres y Nelson Noé García on March 2nd and 15th, 2016. Both were community leaders fighting for human rights in Honduras, especially land rights. After these tragic events, we denounce the critical situation of human rights defenders in Latin America, and we request that national governments and the international community find solutions to protect these people as well as implement mechanisms to counter impunity of such assassinations. Junto con once otras organizaciones de acompañamiento internacional trabajando en América Latina, FOR Presente por la Paz acaba de firmar un comunicado público para pedir justicia después de los asesinatos de Berta Cáceres y Nelson Noé García, ambxs líderes comunitarixs luchando por los derechos humanos y en particular el derecho a la tierra en Honduras, ocurridos los 2 y 15 de marzo de 2016. Después de esos eventos trágicos, denunciamos una situación generalizada de vulneración de los derechos de lxs defensorxs de derechos humanos en América Latina actualmente, a la cual los gobiernos nacionales y la comunidad internacional tienen que encontrar soluciones de protección efectivas y mecanismos de lucha contra la impunidad. This article was written by FORPP accompaniers Tom Power and Sophie Duval. 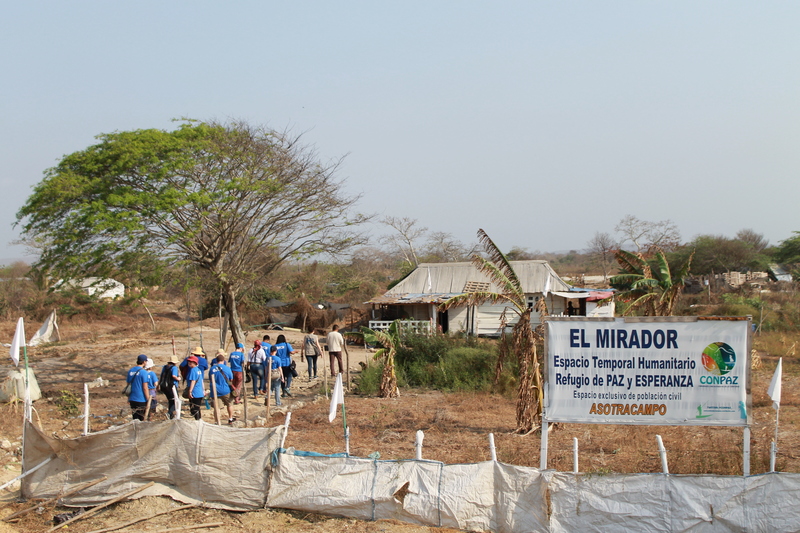 On November 30th Maresz and Sophie of the FOR Peace Presence team arrived in El Tamarindo to find that the inhabitants of the plot “El Mirador” had received what turned out to be a final eviction notice. The inhabitants, farmers of Asotracampo (Asociaciones de los Trabajadores del Campo, Association of Land Workers), have been fighting for their land rights for more than eight years. In words they exchanged with the FORPP team, their surprise was mixed with a certain level of despair, not only at the notice of eviction but also with what they lived with over the last few years.